"Sophie Ford, awaiting a heart transplant, thought she was sleeping in the arms of her beloved husband, Jamie. However, she has woken to find herself in Harrisburg, Pennsylvania 1863, without explanation as to how she got there, or where her husband is. She finds refuge with a doctor and his family, but develops a volatile relationship with their neighbor, Richard Madden. His expectations become difficult to ignore, and Sophie must figure out a way to hold off his advances. When a soldier shows up looking identical to Jamie, but not knowing who she is, Sophie decides she must make him remember. Will her love for him help him remember? Will they rediscover their love in the new century, or will Richard threaten their chance to reunite? Will Sophie survive the threat against her life and destiny?" This book was destined to be a fast and fun read--how could a time-travel, Civil War romance story not be? I read the book in one day; it was hard to leave my computer for very long! The Bride Price was different and intriguing, and I really liked the characters. And the meaning behind the title and how it fits in with the story is really cute! 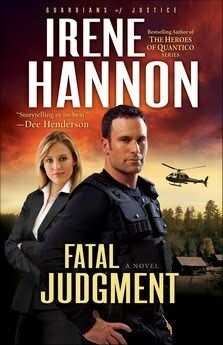 This book is not technically a Christian fiction book, although there are occasional mentions of prayer and God's plan. There's some swearing/crude language, and the romance is kind of strong. Even though the two protagonists are married to each other, the constant references to marital "duties" might be a bit much for some readers. Overall, this book was an exciting excursion into the past, and it was interesting to see our modern day ways clash with the Civil War era. There were some really sweet characters from the past that were quite understanding and accepting of time travelers! 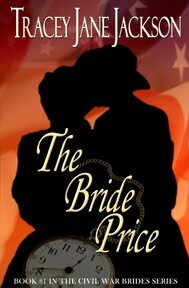 I'd recommend The Bride Price for historical-romance lovers who are looking for a shorter, entertaining read with a neat twist, and who don't mind a more mainstream-style romance. If you'd like to learn more about Tracey's books, visit her website. I was so blessed to attend the Woman to Woman Conference at my school (Corban University) yesterday! The Associated Student Body generously offered to pay the way for up to 50 Corban girls, so I was able to go for free and hear author Robin Jones Gunn speak, as well as attend some great classes! 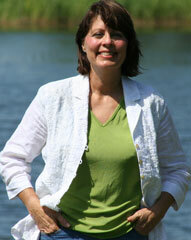 Robin Jones Gunn is the author of the "Christy Miller" series, the "Sisterchicks" series, and many other Christian novels and non-fiction books. Her latest book (coming out in May), co-authored by Tricia Goyer, is called Praying for Your Future Husband, and it was so awesome to hear where the idea for this upcoming release came from! I have to say, I have not yet had the pleasure of reading her work, but after this conference, I am definitely eager to do so! Amber: "I'm sure you hear this all the time from people you meet at conferences, but I hope to be a novelist someday, too. I have a blog..."
Something like that! ;) Or how about this? Amber: "Your talk this morning was so good. It made me cry." Robin: "I hope they were good tears!" Yes, they were! Both of the talks she gave us were excellent. Anyway, she was so kind and she gave me a couple of hugs! Welcome! I'm so glad you could join us today to discuss a very special book written by a very sweet friend. There's plenty of room for everyone on the couches in the parlor here. The lady who runs this place is so sweet, and her scones--delicious! So help yourself, and I'll get the discussion started. Today we're discussing Courting Morrow Little by Laura Frantz. This book is absolutely amazing, and if you haven't read it yet, I very highly recommend it! Click HERE if you'd like to read my review. Even if you haven't read the book, please feel free to join in the discussion. I can't guarantee that spoilers won't be given, so proceed with caution. But we'd love to have as many people as possible share their thoughts about the ideas raised in this novel! Following are some discussion questions to get us started, but don't let these questions limit you! Pick one topic to discuss, discuss all of them, or discuss something else this book brought to mind--imaginations are quite welcome here! Morrow got to experience fine society--both the pros and cons of city life. But at the very beginning of the book the reader only sees those two years as a memory. Instead of going out to a strange new world at the beginning of this story, Morrow is returning to a familiar land. And yet, Morrow has changed, and she now sees Kentucke in a new way. If you were Morrow, would you have stayed in Philadelphia or gone back to Kentucke? Why? Did you have to make a difficult decision about where to live once you became an adult? If so, how did you make your choice? Morrow's life--her world--is much different from our own lives. 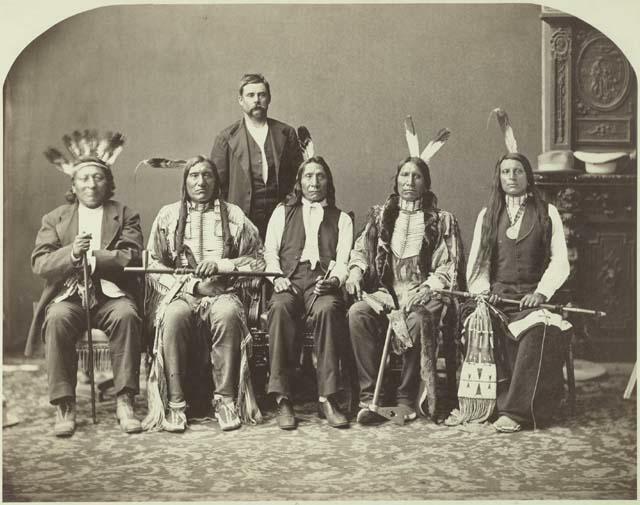 The setting, the clothing, the choice of suitors, the conflicts with the Native Americans...all are a part of history, although Laura does a wonderful job of making history come alive. While this time period is far removed from our own, what were the similarities you identified with that made this story universal in its scope? In what ways did you relate with Morrow Little or one of the other characters? If you'd like some more discussion questions/topics, click HERE to read a list created by the author herself. And go ahead and take a moment to enjoy this picture from Laura's blog of the real Red Shirt (far right). Quite the inspiration for a character, I'd say! This is the scene right outside the back door of the second floor of my dorm. So pristine and beautiful! I guess I wasn't the first one up this morning, judging by those footprints! ;) I slept in until almost 9:00 AM because I don't have class until the afternoon today. And here's my bed and the window--such a lovely view! And yes, my roommate and I had so much fun decorating for Valentine's Day, we haven't had the heart to take our decorations down! Hope your day is beautiful, whether you have snow or blue skies! Oh, and tomorrow I'm hoping to have that Courting Morrow Little book discussion here, so I hope to see you then! And to the rest of my readers, be on the lookout for more giveaways headed your way during my Blogoversary week at the end of March! Glider Ride or Train Ride? Today I'm over at The Borrowed Book talking about writing goals and how to get to your final destination--finishing that manuscript! I'd love to have you hop on over there and join in the discussion! 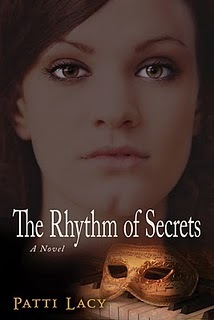 "By virtue of her profession as a midwife, Tabitha Eckles is the keeper of many secrets. Dominick Cherrett is a man with his own secret to keep: namely, why he, a British aristocrat, is on American soil working as an indentured servant. With stirring writing that draws you directly into the story, Lady in the Mist takes you on the thrilling ride of love's discovery." This book takes the reader on an intriguing and exciting journey. The imagery is lovely, the plot is unique, and the romance is oh-so-sweet! This was a fun story to read, even though it was a little hard sometimes for me to know what exactly was going on--who was on which side, what everyone's motives were, etc. 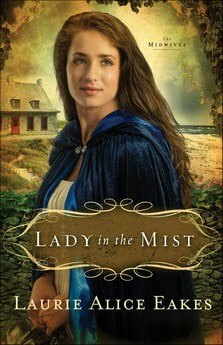 Lady in the Mist shows the struggles that come with walking around in a "mist" of distrust and doubt--doubting God, His forgiveness, and His control. Only when we let God's light dispel the mist can we find hope and peace. Join the characters of this book as they search for the Light through the mist, and along the way you'll escape back in time to discover a story of mystery and romance! To read the original post for the LitFuse Publicity Blog Tour (with book description, author information, etc. ), click HERE. Once again, I apologize for the delay in writing my full review. I just finished the book, and I can now share my complete thoughts with you. Thank you for your patience! This book is full of vivid imagery--some beautiful and poetic, and some disturbing and heartbreaking. I admire Lacy's talent for writing, as the words she weaves draw the reader into the story, for better or for worse. The rhythm of the book is full of constant crescendos and decrescendos, painful secrets in both the past and present revealed one right after the other, paralleled by tender moments of kindness and hope. It's a different sort of rhythm for a book--one that takes the reader on a timeless and terrifying journey. However, in the midst of all the tragedy, a message of hope glimmers through the pages, and in the end of the crazy ride it felt like the main characters had come a long way and reached a good place. This book speaks of the power of grace and truth, and perhaps the message is clearer because of all the difficulties presented throughout the story. It's not a book I imagine picking up again, at least not any time in the foreseeable future, but it is a book with a powerful message that cautions us against being judgmental and uncaring. 300th Post with Upcoming Events and a Giveaway! There are a lot of plans going on behind-the-scenes here at "Seasons of Humility," and I thought I would let my 300th post be a list of some of the upcoming events we have to look forward to in the near future! Blogoversary! The end of March (March 30th, to be exact) is my first anniversary of the creation of this blog, and I've been contacting some wonderful authors to help me celebrate! I don't want to give too much away, but here's a hint of what's to come: themed weeks. Remember all those themed weeks we had this past year? Food week? Mystery week? Well, there will be little flashbacks to those days, some fabulous giveaways, and some great author interviews (including interviews with Julie Lessman, Leanna Ellis, and maybe more)! So mark your calendars for March 27th through April 2nd! Mondays for the Military: I don't want to guarantee anything at this point, but I've just heard back from an author who is willing to do an interview for an upcoming Monday regarding her military books. I'm excited to maybe host her here, and I can't wait to share the interview with you--hopefully soon! 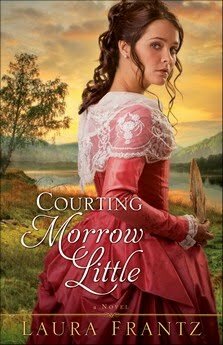 Courting Morrow Little Book Discussion: Nope, I haven't forgotten! I'm still hoping to host this book discussion soon, and I'm thinking maybe next week will work well. We'll see! I apologize for the delay. The Borrowed Book: The third and final installment of my writing tips series is scheduled for this upcoming Monday, February 21st. As with my first two posts for this group blog, I'll plan on posting a link here, as well! Thank you for sticking with me, and I look forward to many more posts in the coming year, if it is the Lord's will. I'm already anticipating "Camp Humility" and fun summer posts! Anyway, since this is my 300th post, I thought I'd do a giveaway to celebrate! If you would like a chance to win a gently used copy of Stars Collide by Janice Thompson, just leave a comment with your e-mail address. (This giveaway is only open to those with a U.S. mailing address.) If you'd like to read my review of this fun book, click HERE. CSN Stores: Another Review to Come! I have had the pleasure of working with CSN Stores in the past to promote their site here on my blog, through doing a review and through doing a giveaway. CSN Stores sells a variety of products on their website, and I was quite happy with my shopping experience when I got to review a pair of heels! The time has come when I get to do another review for CSN Stores, so I've been scouring their site looking for just the right product to enjoy and post about. I think I've finally decided on something: a pretty set of 6 mini vases! I'm hoping this will bring a touch of spring into my dorm room. So be on the lookout for a future review of some pretty vases! Today I have a very special post for you, but first I wanted to again thank everyone who participated (either by blogging, being interviewed, doing giveaways, reading posts, or entering giveaways) in the "Season of Love Blog Party!" We had a lot of wonderful guests and visitors, and I think it's safe to say that the party was a huge success! At the bottom of this post you will find a Mr. Linky listing of all the blogs participating in the party that are doing a special Valentine's Day post. Winners will be announced on those separate blogs, so be sure to check them out! Congratulations! Be sure to check your inbox for my e-mail! 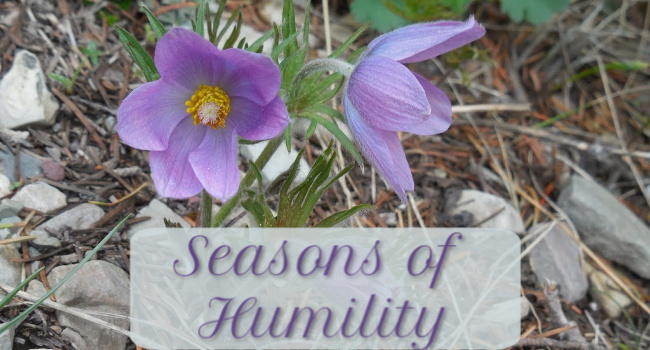 As those who have been following my blog for a while know, Mondays are special days here at "Seasons of Humility." I have a weekly feature called Mondays for the Military (which doesn't always happen every week, but it still happens often!). Today I want to combine my respect and admiration for the military with this last day of the Valentine's progressive blog party. I recently received a forwarded message from a pen pal I met through the Cup of Joe for a Joe program, a First Lieutenant in the Air Force over in Iraq right now. The message was from his Brigadier General, Anthony J. Rock. I'd like to share some of it here with you. (I was given the OK to share this.) But just to warn you--I cried the first time I read it! Many back home who have not had the calling or chance to serve don't understand why we do what we do. To help them get it, I like to tell them there are three kinds of people in this world: Sheep, wolves and sheepdogs. The wolves would attack the sheep while they graze and the sheepdog's only mission is to make sure the wolves are held at bay. Now the sheep don't want to acknowledge the presence of or even know about the sheepdog, they just want to keep their heads down while they graze the very green and tasty grass. They presume they will be safe from the wolves and some would even tell you the wolves don't exist or they mean us no harm. We, as sheepdogs, know better because we have seen what happens when the flock goes unguarded. We lost 2977 lives on 11 Sep 01 in the opening salvo of a new kind of war and we have lost 4436 sheepdog lives in Iraq alone since then. We are SHEEPDOG NATION and we will stand strong to protect our brothers and sisters, sons and daughters, mothers and fathers, friends and strangers alike--all those back home who rely on us, even if they don't know we are out here for them. Orwell got it right when he said, "Citizens sleep peaceably in their beds at night only because rough men stand ready to do ill will on their behalf." This weekend is the perfect example. Over 100,000 sheep will gather in a big round building in Dallas to watch the green and gold team smash heads against the black and gold team on the very green grass. They can only do so confident in their security because of you. So, when you someday meet one of the sheep who thanks you for your protection, and you will, you will very modestly mumble, "you're welcome, it's just what we do..." But you know there is more to it than that. This is a historic year. Our presence in Iraq will change from a massive military footprint focused on combat and combat support to a very lean effort focused on Security Cooperation, largely training, exercises and military sales that will enable Iraq's ability to conduct its own internal security and external defense operations. It represents our lasting commitment to a strategic partnership for the future. Iraq is still going through the turbulent transition to a democratic system and that is simultaneously unsettling and threatening to some and an exciting new opportunity for others. Much of what we do now is not "ill will" but rather good will. We are executing the Building Partner Capacity strategy that is a part of the new operational environment. With that said, we are warriors at heart and are ready to act in defense of our brother warriors here with us and citizens back home alike. So my message is, stay strong, stay ready for combat and stay focused. Take care of yourselves and take care of your wingmen. Execute with the professionalism, dedication and excellence that is our trademark. Never forget that the role you have taken on as a sheepdog comes with awesome responsibility, exceptional personal satisfaction, and all too often little thanks. That's OK, we don't do it for the recognition anyway. To our newest members, welcome aboard and get ready to rage. For the rest of you, thanks for what you do every day. As always I hope this message finds those you love back home safe and warm. I ask you tell them one thing for me, "Brig Gen Rock says thanks to you as family members for your sacrifice during the absence of your sheepdog. Your sacrifice is much greater than ours and it is often forgotten, but Brig Gen Rock knows and appreciates it." I am proud to be a small part of your team. While I acknowledge the passing of the first month I refuse to count the days, I prefer to make every day count. I know you will make them count with me. Oh, I'm so gr ateful for these "sheepdogs" who are sacrificing so much for the country they love! Let's not let these brave heroes and their sacrifices become forgotten. There are ways we can show our love and care for our military men and women. One way is to pray--which is no small thing! I was recently reminded by a dear friend, KC Frantzen, about an upcoming Wounded Warrior Getaway. (Click HERE to read a previous interview with this wonderful lady about the WWG.) The WWG is from April 28th-May 1st, 2011 in Boerne (near San Antonio), Texas. This is a wonderful opportunity for our wounded heroes to find a respite and a place where they can be cared for. If you're interested in learning more about this program, or if you think you might want to volunteer, click HERE. We can pray for those wounded warriors and the inspirational people who are making sacrifices for those who sacrificed so much for us. If you'd like to meet some heroes in the military right now and share a cup of coffee with them (and maybe become pen pals! ), you might be interested in checking out the Cup of Joe for a Joe program. I highly recommend it! There are many ways we can show our military men and women we care. Let's remember their sacrificial love and find a way to show our love to them, as well! Also, I'm over at The Borrowed Book today talking about devotion to your manuscript (keeping a writing schedule), so if you're interested, I'd love to have you visit! Season of Love Blog Party Reminder! I just wanted to remind all of you that the "Season of Love Blog Party" is drawing to a close, so you've only got today (Sunday) to make sure to get your name entered into all of these great giveaways! Plus, there have been some super fun, creative interviews and posts, and you'll want to be sure to visit all of them as you get ready to celebrate Valentine's Day! Remember to come back here to Seasons of Humility for a Mr. Linky listing of all the blogs writing a special post tomorrow (Valentine's Day!). The winners will be announced on the participating blogs, and there will be some really sweet posts! See you then, and good luck in all of the giveaways! "Since 1955, Sheila Franklin, a talented musician, has perfectly performed the role of devout pastor’s wife, locking away her past as Sheba Alexander and Sylvia Allen. Her carefully constructed façade crumbles with a single phone call from a young Marine named Samuel, the illegitimate son she secretly put up for adoption. Samuel begs Sheila to use her government contacts to get his fiancé, Mali, a Thai prostitute, into America. A dangerous mixture of love and guilt spurs her to help her only child even though it devastates her husband Edward and exposes her questionable past. After a quarrel with Edward, Sheila and Samuel board a C-130 for Thailand and then search Bangkok’s steamy streets for a Madonna-faced prostitute. The two whisk Mali from a brothel but are seized by a warlord who considers Mali his 'number one girl.' In a teak 'ghost house,' Sheila discovers God’s grace and gains the freedom she needs to find her own identity—Sheila, Sylvia, and Sheba. A framed story, this novel has roots in the bohemian 1940s New Orleans French Quarter and spans three decades, including the turbulent Vietnam era." I am sorry to say that I'm only ab0ut 1/3 of the way through the book right now. I apologize for not having my full review ready yet! I'm hoping to finish the book within the next few days, and once I'm finished I'll post my review then. I'm quite intrigued by the story so far, and I admire Lacy's talent for writing. I'll let you know soon what my overall thoughts are! Baylor graduate, taught community college humanities until God called her to span seas and secrets in her novels, An Irishwoman's Tale and What the Bayou Saw. She has two grown children and a dog named Laura. She and her husband can be seen jog-walking the streets of Normal, Illinois, an amazing place to live for a woman born in a car. For more information, visit Patti's website at www.pattilacy.com, her blog at www.pattilacy.com/blog, and her Facebook daily Artbites. Click HERE to read more about Patti Lacy. Patti Lacy is celebrating the release of her latest book with a NOOK Giveaway, blog tour and Book Club Party! Patti and her publisher, Kregel Publications, are giving away a NOOK prize package worth over $150 to one lucky winner!!!! The Season of Love Continues! The love I'm refer ring to is from two sources--the manuscript I'm working on, and North and South. 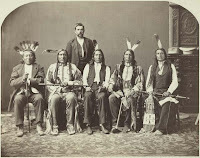 I'm over halfway done writing my work-in-progress, which is an historical romance set in 1885 in the American West. My current steady writing schedule has put these characters on my mind more, and oh, I do love them so! I'm so grateful that God gives us stories. I hope someday in the not-to-distant future, if it is God's will, I might be able to share this story of my heart with all of you. If or when that time comes, I hope you love these characters as much as I do! As for North and South, last night I re-visited this beautiful movie, although I only watched the first part. I'm looking forward to hopefully watching more soon! 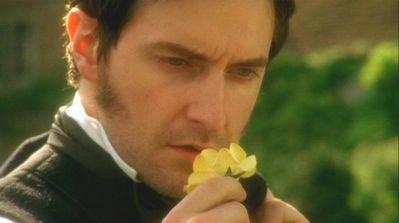 Since we're celebrating love all this week, I couldn't resist showing you some pictures of the handsome Mr. Thornton! *Sigh. * I do so love this movie! Back to the blogging world, I just wanted to remind you that the blog party continues today over at Casey's blog, Writing for Christ, with an author interview and giveaway! Hope to see you there! Season of Love Blog Party with MaryLu Tyndall! Welcome to the first day of the "Season of Love Blog Party!" I'm so happy to be one of the hostesses of this week-long celebration of Valentine's Day! Today author MaryLu Tyndall is helping us start this party off with a bang! Please give her a warm welcome, and read all the way through to see how you can win a copy of her upcoming March 2011 release. Amber: Thank you so much for joining us today, MaryLu! To start, could you share with us your own love story and how that might have influenced your writing? MaryLu: Wow, no one has ever asked me that! I found love late in life. Unfortunately, I rushed into marriage at a very young age and had two kids before I even realized that I had married the wrong guy. I wasn’t a Christian then, so my marriage fell apart and I ended up being a single mom for several years. Dating became almost impossible. Believe me, most men out there want nothing to do with a woman who comes with kids! So, I met a lot of losers and started a few relationships that went sour. Finally in my early 30’s, I had almost given up on finding my prince charming. Then I met my husband. He was a Harley-riding scientist at the company where I worked at the time. Tall, handsome, intelligent, successful and romantic. Wow, I fell madly in love within the first few weeks of dating. We married a year later and have been together for almost 20 years. I still get goose bumps when he walks in the front door. 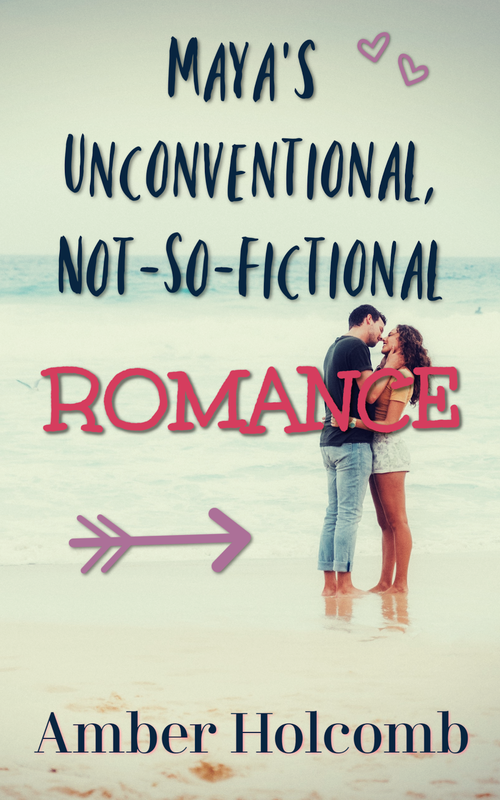 How does my own personal romance influence my writing? Honestly, I don’t think you can write romance unless you’ve experienced true love. You can watch it in movies, read it in books, but unless you’ve felt that tingling in your belly or that hot flush race through you at the sight of him, unless you’ve felt as though your life would end without that person, how can you describe that in a story? Also aside from those wonderful feelings, being married so long has given me a perspective of what real love is about—a love that abides through time, struggles, heartaches, and trials and only comes out stronger. Amber: Wow! Thank you so much for sharing that with us! What inspired you to write Christian romance books? MaryLu: My faith is very important to me, so when I write a story, I don’t want to just entertain people (although I strive to do that, as well), but I want to share the love of God with them. Writing Christian romance gives me a chance to tell the world through the use of story how real and wonderful and awesome God truly is. I have to say, there’s just something about the wide, mysterious sea (and handsome pirates!) that is very romantic. What do you enjoy most about writing seafaring books? Do you think that an exotic setting leads to a more intriguing romance story? MaryLu: Like you said, there’s something so adventurous, so romantic about the sea! I’ve been obsessed with it since I was a young girl growing up on the beaches of South Florida. I suppose it’s the unknown, the adventure, the risk that draws me. Battles have been fought at sea, new worlds discovered, and men have sailed it for centuries in search of freedom and adventure. I suppose I love to write seafaring stories for all of those reasons. There seems to be no boundaries to the excitement that can happen out at sea. Does an exotic location help create a better story? Not necessarily. You must start with great characters and a great plot. But, an alluring setting can certainly add flavor to a great story like whipped cream on a scrumptious piece of cake. Amber: Yum! ;) What’s next in your writing career? Next, I’m working on a single title, Veil of Pearls, set in Charleston South Carolina in the early 1800s. The story is about a runaway slave who falls in love with a spoiled son of a plantation owner. Amber: Can't wait to read more of your books! Now, do you have a favorite Valentine’s Day memory you could tell us about? MaryLu: Walking, arm in arm with my husband, down the beach in Southern California as we watched the sun set. It’s the simple times that you will remember the most. The quiet moments just enjoying each other’s company. Thank you so much for joining us today, MaryLu, and happy (almost) Valentine's Day to you and and your husband! Readers, here's your chance to win a copy of Surrender the Night! Leave a comment for MaryLu along with your e-mail address, and you'll be entered in a drawing for a copy of Surrender the Night. Everyone can enter! The winner will be announced on Monday, February 14th (Valentine's Day!). Once the winner has been determined, I'll pre-order a copy of the book and have it sent to the person once the book releases on March 1, 2011. Also, if you have a moment and you're interested in some tips for writers, today my first post in a 3-part series is up on "The Borrowed Book" blog. You can check it out HERE! That is to say, the "Season of Love" begins tomorrow! Stop by here on Monday for the first day of the "Season of Love Blog Party," where I'll be hosting author MaryLu Tyndall and offering a fun giveaway. Click HERE to see what else is in store for this upcoming week-long bash to celebrate Valentine's Day! From the soundstage to a Beverly Hills mansion to the gleaming Pacific Ocean, Stars Collide takes you on a roller-coaster tour of Hollywood, packing both comedic punch and tender emotion." What a fun and crazy ride! 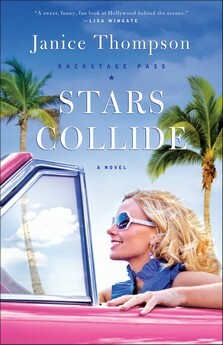 Stars Collide has a sweet romance and a great supporting cast. I loved the names of the chapters and the constant references to famous movie quotes. For a great excursion into a place where "happily ever after" is more than just "The End," this book is the ticket! All of the characters are wonderful, and I think that a lot of the secondary characters, like Kat's grandmother and the child star with more to her than meets the eye, stole the spotlight frequently. I confess that it was hard to believe that there were so many Christians working on the same set of such a popular show (that was family-friendly and clean). Of course, I really don't know how many honest-to-goodness Christians work in Hollywood in real life, so perhaps it really isn't all that unbelievable. But either way, it made for a sweet story with lots of encouragement to trust God and have hope for the future. And if you're looking for a book with a happy ending wrapped up with a shiny pink bow, Stars Collide is it! Although the conclusion did seem a little too nice and neat for real life, so to speak, all of the happiness fit somehow. I really enjoyed it! Stars Collide is sure to lift your spirits, complete with a "special feature" at the end that will put a smile on your face. So what did you, the readers, have to say? Well, half of the 10 voters declared their preference of doing a book discussion on Courting Morrow Little, so with the greatest amount of votes Courting Morrow Little by Laura Frantz wins! I look forward to discussing this amazing, beautiful book with all of you! I'm not sure yet of the exact date of the discussion, but I think it will probably be within the next week or so. Also, I have another exciting announcement. The winner of Fatal Judgment is Katy! Congratulations! As for the coming days, I hope to have some more book reviews for you, as well as a link to my first blog post on The Borrowed Book (Monday). And don't forget that the Season of Love Blog Party starts on Monday!!! Believe me, you won't want to miss out on this! Welcome to the second month of the Contentment Reading Challenge 2011! If my counting is correct, I think we have 16 people now who have officially joined the challenge! But anyone is still welcome to join at any time, so if you're interested or want to learn more, click HERE. The first book I re-read for this challenge was The Redemption by MaryLu Tyndall. It was wonderful to re-visit this book! It was the first one I read by Tyndall, and I was so blessed to have all three of the books in the series at one time (which I received as gifts from my parents for Christmas one year, I believe), so I could just go from one to the other. Trust me--once you read The Redemption, you'll be very eager to pick up The Reliance, and then The Restitution! The Redemption is a beautiful book full of great descriptions of the sea (you can find some examples HERE), adventure, romance, and reminders of God's love. I highly recommend it! As for what I'm going to re-read next, I'm still thinking about that. I think it would be good to just go ahead and re-read The Reliance, but I'm also eager to re-read this amazing series by Jane Kirkpatrick soon about the Oregon Trail. I'd prefer to re-read that series sooner rather than later as we will soon be discussing the Oregon Trail in my Literature of the American West class. (Which is one of my favorite classes ever, I think!) ;) I just love the West! So, now you know where I stand so far. How about you? If you've joined this challenge, have you made some progress yet? Are you enjoying re-reading some of your old favorites? Also, before I conclude this month's update, I just wanted to ask which you would be most interested in to go along with next month's update: a special author interview with one of the authors whose books I'm re-reading, or a book discussion about a book many of us are interested in re-reading? I'd love to hear your thoughts! Yes, today is the day I am being introduced as the newest contributor to The Borrowed Book! If you have the time, I would be honored to have you stop by and say hello! And since I've got your attention, I'm curious--are you interested in reading about the writing journey of a college student? Will posts regarding the lessons I learn about writing and balancing various activities while I'm in school be encouraging and helpful to you? Or do you prefer more reviews/author interviews? It is my hope that the posts I write for "The Borrowed Book" will be different and intriguing enough to merit having you, my readers, read my posts there, too.